On Sale Now! Save 7% on the Folklore Enamel Storage Pot, Day Design, White by Folklore at Animal Backgrounds. MPN: AFOL041. Hurry! Limited time offer. Offer valid only while supplies last. 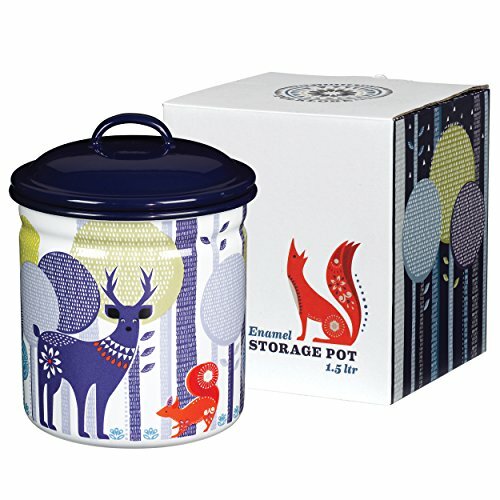 Enamel storage pot from the world of Folklore featuring a whimsical woodland design. Enamelware ideal for the home, camping or picnics in the park. If you have any questions about this product by Folklore, contact us by completing and submitting the form below. If you are looking for a specif part number, please include it with your message.